When simplicity, carefully pursued, becomes symbol of great value. 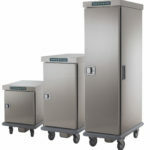 Built-in heated and refrigerated display cases, refrigerated tanks and tops for professional self-service. 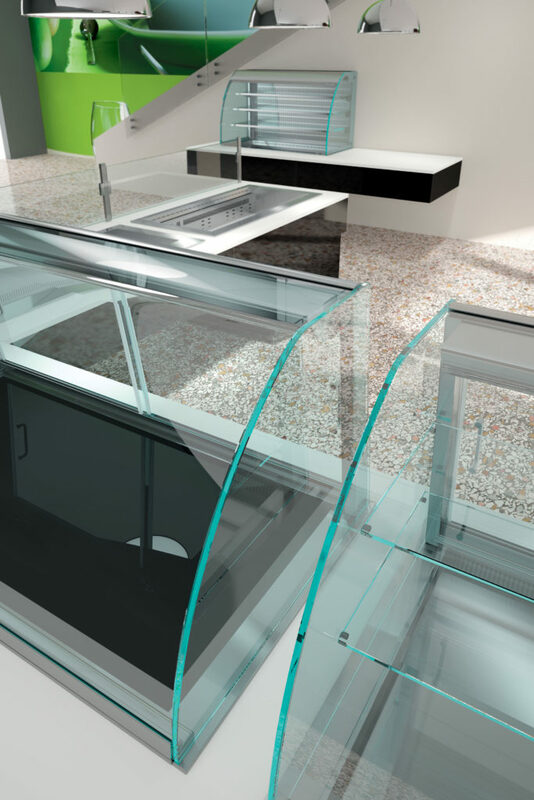 Traditional heated display case, suitable for displaying warm food that needs a humidified heat, such as pasta, steamed or stewed meat, cooked vegetables etc. 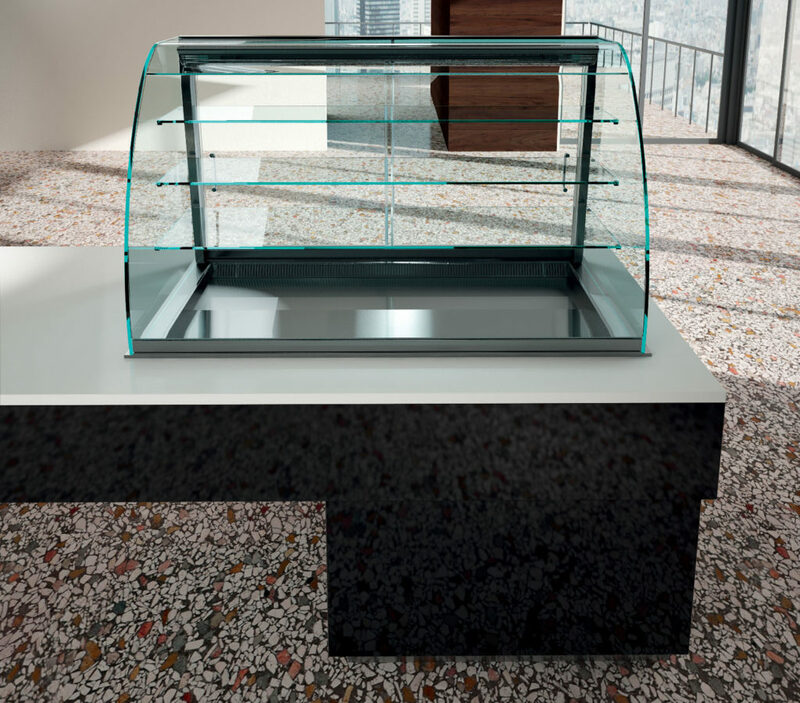 Dry heated display case with glass ceramic top that is perfect for displaying such food as pizza or bun. Both models are equipped with lighting and heating with halogen. 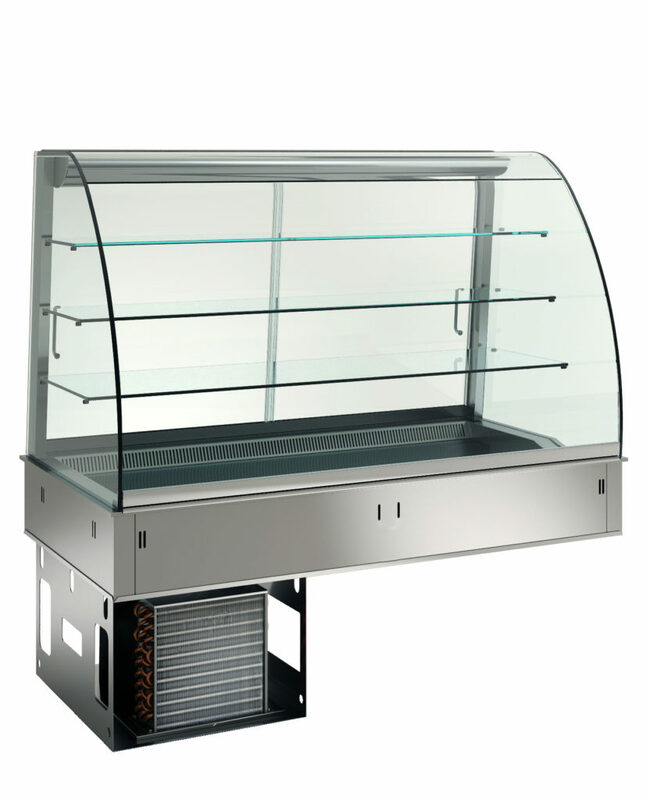 Refrigerated display cases ensure the ideal displaying of cold products thanks to sophisticated design; in fact, the shelves are fixed directly on the back of the display case with the minimal use of structures in stainless steel. Moreover, all models are equipped with the ventilation system that ensures a perfect preservation of your plates. 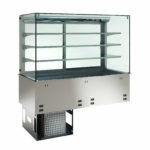 You can choose between 2 or 3 shelves display cases with the capacity from 2 GN 1/1 till 5 GN 1/1 on a tank, on top, closed, with clapet or curtain, with or without refrigerating unit. 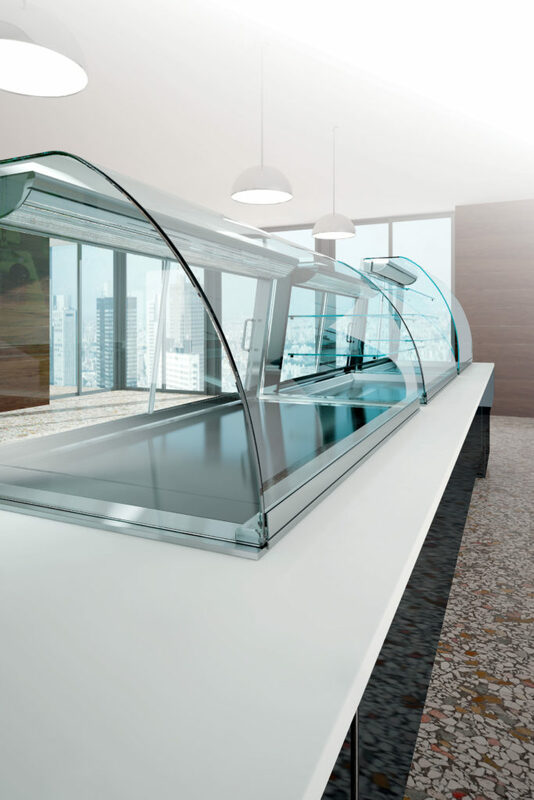 Refrigerated and ventilated tank of the Infinity line is the ideal solution for displaying drinks or sandwiches and ensures the optimal conservation of food products, preserving all its organoleptic properties. 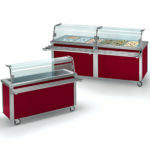 The refrigerated top was created for displaying cold food such as salads, desserts, and many others. 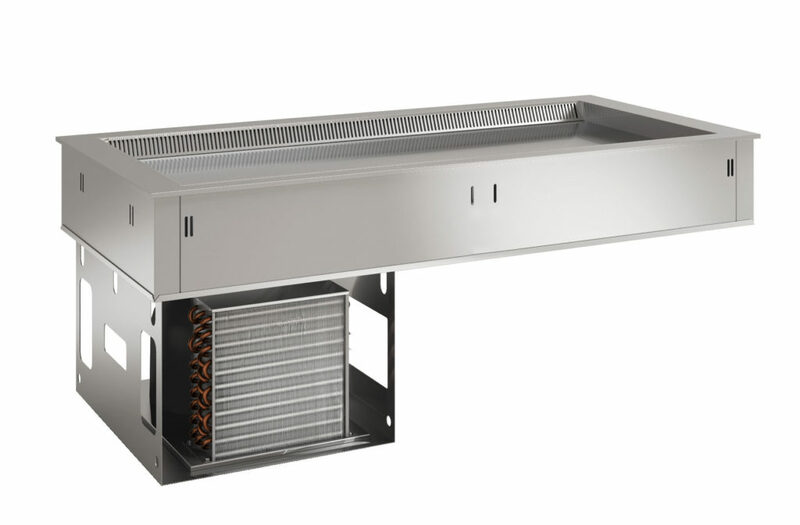 Both models are the capacity that can vary from 2 GN 1/1 till 5 GN 1/1 and could be supplied with or without refrigerating unit. 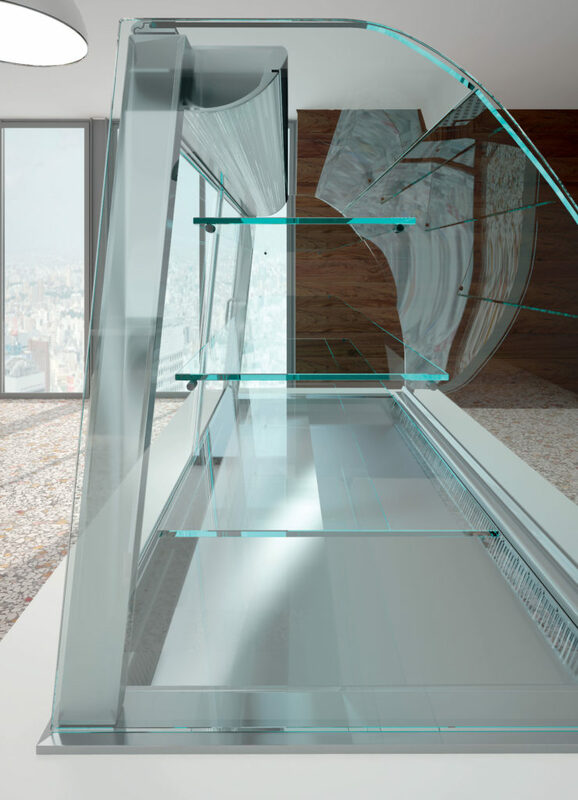 The line includes also a wide range of accessories and superstructures.